It looks like we just got delighted with "Redesigned the question details page to make it easier to distinguish between an answer and a comment". 2. Tags are shown under the question (I believe the primary one was on top before). OK but why? 3. "No comments - no problem". The comments are simply hidden and need to be expanded. While "roll up / down" is definitely a welcome addition but I don't think it's a good idea to open the question with the comments rolled up by default. At least not for the unanswered questions. The comments are usually meant to clarify the OP's question. Now that they're hidden people will just start posting the same as answers (and possibly duplicating existing comments). 4. There seem to be some font size changes across the board in the comments. If the goal was to make the comments less readable then it's mission accomplished. I expect soon to be delighted with even more exciting changes in SAP One Support Launchpad... the team has been quiet for some time. And why does SAP depart from the almost universal standard of highlighting active links in blue? Active internet links are in a different shade of grey until you scroll your mouse over them. Can be easily missed if you embed a word as a link. I have observed active links in blue till they are accessed when they are turned grey. Not sure if this is OOB behavior or not..You raise a good point though Craig. I am not a big fan of seeing accessed links in grey. Makes it difficult to distinguish from regular text. Ok.. I se now where it's blue if it hasn't been accessed, but grey if you've opened it once. I still don't like the color schemes though. Even after accessing it. I'd prefer something different than the grey. Agreed Craig. I think other sites use Purple. Much more distinguishable than grey. There are no standards for link colors, but what the Wikipedia site has, is close to what many users expect: Help:Link color - Wikipedia. As to the site colors in general - there is an useful on-line tool, which checks for WCAG compliance: Color Contrast Checker. It seems, that the site fails WCAG AA for all texts in light gray, including visited links, links to tags, times, views, actions button etc. Unlike other design decisions, the SAP team does not need to collect feedback from selected individuals on color and contrast usage in the forum pages - the information is already available in the web. I am using Chrome Incognito mode for this site usage. Once tab is closed, it can be re-opened. No history is saved. As a result, I skipped the grey suffering. on your point number 1: the action button you mentioned opens an empty selection now. Both on Firefox and IE. For regular users, Actions menu is displayed only for own questions (if you have logged in, of course) . This has been the case since the site launch, I think. For my own questions I can see the menu in Firefox ESR 45.7.0, IE11 and Pale Moon 27.1.2. Yes, it's been like that all the time. The actions are only available for your own questions but the button is displayed for all the questions. I'm 100% sure this was reported as a bug but is probably buried somewhere in Using SAP.com. Not sure why this is not handled by "best of breed" platform, seems like UI design 101... "Thou shalt not display screen elements that perform no action". Thanks, Martin! Bumped it up. It's already March, this was reported in October. Just so I'm clear: This is the same issue that you described in the "Test" conversation? Because I did report that, but I clearly missed this one https://answers.sap.com/questions/29263/actions-buton-on-questions-is-empty.html. And I want to make sure I'm not overlooking anything. Jerry - yes, it's the same. On a positive note - the comments do use ever so slightly more of the width of your screen. - there is Reply (link) and "Comment on..." (button). 4 different fonts within 2 inches of screen space. - "Comment on this"... looks like a link. So when it's comment to a comment then I'm "replying", otherwise I'm "commenting"? But then the 2nd degree comment is still a comment and "reply" is either a comment or a question (as can be seen in the Q&A list)? I don't mean to troll but this just looks rather sloppy IMHO. You're not trolling at all. I don't think anybody here is, really. It's just very, very frustrating. I am working on a post about the latest release highlights -- which should be live today. It will, of course, mention the new Q&A UI. It will also mention that we recognize members aren't satisfied with the new experience, and I'll link to this Coffee Corner conversation and this one as well. That way, other people who read the release notes and share similar opinions can voice them in these types of discussions. It's unfortunate that there is so much of negative feedback, but I wouldn't call that trolling. I would call it "we need to do much better on our side." People are complaining because we give them plenty of reason to. Hi Jerry - curious why we aren't leveraging the QA landscape more effectively with focus groups, moderators, mentors, etc.? Seems to me that many of these changes would benefit from testing by seasoned users and not the teams coding the changes. In the web (/ cloud / whatever the new name is) world, there is a concept of staged roll outs. This would be the perfect scenario for doing that.... when the new changes are backward compatible and there are no major data structure or conceptual changes, the "QA" could be a rollout to limited users. This could be with or without the option for the user to go back to the last stable release. Kind of what I suggested on https://ideas.sap.com/D40685, right?! -> Provide a "Beta"-URL, where new features are available first, to use(=test!) for those who want to. Sorry, if I sound like a broken record by using on-line games as analogies, but in a game, which I play, they have weekly feedback sessions (which they also upload on YouTube), where the developers explain what comes next, what they have designed and why, how a specific functionality works, what challenges they encounter during design and development and often ask for ideas, e.g. 'We are thinking of having this and this... which option do you think is better - option 1 or option 2 or, do you have an alternative idea for that?'. They also have art feedback sessions, where a graphic designer draws in real time design elements, based on what users ask him to do. These design elements usually make their way into the game. So, I am thinking: why can't we have something like that - a web designer starts playing with a selected forum page to adjust the design the way members ask it to look like? Changing CSS or minor script changes does not require much preparation, it does not need to be applied to everybody in a PRD environment, but at least, it could give you some feeling, that you are listened to. This is very different, compared to presenting power-point slides, where a decision has already been taken, or introducing a solution, which comes as a surprise to the forum members. I don't mean to troll either, my suggestion comes mostly, because I think, that for you and for the rest of the project members it is really hard to stay motivated, when you receive lots of negative feedback with each release. This would be a good step in the right direction. More often than not we, the users, see new stuff implemented without a peep beforehand that something significant will be changed (IMO UI changes like the last one totally count for this). If it's known, it will come, especially if you put it in the live environment, why not have the info ready? Why not give it beforehand? I know, Jerry wrote that he wants to wait if it turns out the way it should and make screenshots etc. But this is what the test system is meant for. At the moment it really looks like the team still uses the live platform as a beta platform, leading to frustration all over the place (for users and the team). It's far from trolling. A friend of mine is in the designing world and using multiple fonts is at least considered as a faux pas. My expectations that all of these very basic design errors will all be fixed some day in the near future is very low. If you start from fresh and design with desktop and laptop in mind and NOT mobile then in all probability we as a consumer will get a better and quicker delivered product. My guess is it will also be cheaper from a development point of view. Currently everything feels rather shoddy, barely held together with cheap plywood and duct tape. Since I logged in to see so many new replies to my last comment -- and all of them seem focused on one topic -- I hope a single response will suffice. That one topic raised here (as I understand it): we need to provide a test environment where members can try out the new features before they are rolled out -- or, at the very least, there should be some form of feature explanation prior (to give the community a chance to react). There have been some attempts to do this (Jamie's invitation comes immediately to mind). In other cases, I assume that the two-week sprint cycle (and complaints that changes aren't coming fast enough) led to pressure for faster delivery. But that's pure speculation on my part, and I can't say with 100% certainty why the current process doesn't include the suggestions here. What I can say (speaking of a broken record) is that I'll share this feedback with the team (directing them to this thread). So we can a) change our processes or b) explain why things are the way they are. In the meantime, for anyone interested: Joachim Rees posted an idea in Idea Place recommending a test environment where members can try new features and provide feedback prior to availability: https://ideas.sap.com/D40685. At the moment, there is only 1 vote, but it sounds as though there is plenty of agreement in this thread. If more people add votes (and comments), it further supports the requests here. EDIT: I failed to mention that we do involve community groups when we can -- and heed their advice. A good example is this: https://blogs.sap.com/2016/11/15/launch-of-new-mission-set-on-hold/ -- where based upon feedback from community moderators and our Reputation Advisory Group, we decided to put the new gamification system on hold. We also meet regularly with our Strategic Advisory Council (which, like the reputation group, consists of community members), as well as SAP Mentors -- showing them what we have planned and asking their opinions. I realize that's not the same thing as opening up a test site to community members, etc, but I hope I never gave the impression that we operate completely independently of the community. And we do review all ideas, bug reports, complaints, etc., that come in from the community. A big part of my job is collecting and responding to them. 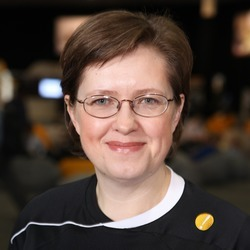 I think both Veselina Peykova (correct me if I am wrong) and I are asking that if there is a limited (alpha/beta) release of new front-end features to a subset of people with a live PRD backend. This would differ a bit from a true test environment where you would asking people to go out of their way to simulate daily life on the site. "But this seems to be a complete test system with test/dummy-data. I was thinking about having the real, live data(=System), with the new beta features enabled ONLY for the users the acces via the beta-link." "where the developers explain what comes next, what they have designed and why, how a specific functionality works,"
I think that's the important point. Say, in the discussion on how to use/mis-use comments vs. answers, I guess a pure test system with experienced and good-willing beta testers working on fake Q&A would usually not show up those mis-uses. That's because those users would usually understand the meaning of the elements and therefore use them as desired, and frankly, you commonly don't like to put too much effort in "test" answers, so I guess this would just be a mere "meta discussion" site. Sorry...I know that none of that is terribly technical, but if I can communicate back the basics of the issues, it's the first step toward digging into the specifics for solutions. Jerry, you are correct in your gist. The only difference / addition is where we get to kick the tires. To take that analogy further - we would like to test drive on real roads (production system), not just the car dealer's parking lot (sandbox or QA database). And we would like a salesman to tell us about the latest / greatest features in the car (Veselina's point about constant pro-active communication (I think I got it this time!)) - not buy it and then find out that it was an electric car when we thought it was just really quiet during the test drive. Now, where the bleep do I plug that thing in? I'm with Raghu on this one. Not sure if this is technically feasible on SCN but, for example, in the Support Launchpad we had a pilot project where new functionality was exposed on the live site only to specific users. It was exactly the problem with open beta before that simply not enough activity was created to simulate the productive environment. Some problems that became apparent immediately after the migration we could not possibly catch in the beta. E.g. I remember looking at the Activity Stream with just a few items and thinking "well, this looks legit". But in the live website I see tons of redundant items that cause multiple "More" button hits. Also, personally, I have limited time for this, so going to a separate QA system and trying to generate content there would be much more time consuming than just using the live site, as usual, and capturing the feedback along the way. Time constraints is also the reason why it's not simply possible for me (and likely many others) to respond to every single feedback request. We all need to think how to use everyone's time more efficiently (I'm sure the SCN team also has stuff to do). Actually, this is not exactly what I tried to convey - I tried to point out that, with a few minor changes to how new features are presented to the audience, things can get much better. The informal atmosphere of developers and designers presenting new things, actively asking for feedback and listening to what people have to say, explaining the advantages and disadvantages of specific design and providing relevant information at the right time, can change greatly the perception of users. (And, watching a developer or a designer in real time, working on something, which you have requested, trying out new design concepts, because you ask him to, is nice). Here is a recent example from today (in the same game): somebody found a way to exploit a feature, while new updates were implemented (there are rarely any real down-times - a few minutes at best, but the patching can take a bit longer). As a result, a lot of manual activity reversals and adjustments had to be done by the site admins and the in-game marketplace had to be shut down until this is finished. There was a news ticker, informing that the trading functionality is temporarily disabled until a problem is fixed, followed by an explanation in the forum by one of the developers - what really happened and why it will be taking more time than some users might have expected. The result? Zero complaints in the forum, on the contrary - people are expressing support to the development team and the admins, who were working during the night and in the early morning. This is very different to the depressing atmosphere here - for everybody, after each update. This is not just about granting QA access to selected individuals or providing timely updates, or asking for voluntarily beta-testers, it is more how you do that, which makes a difference. I am concerned, that Jerry might be scared off to post anything in the Coffee Corner, which is not my intention: I can see, that the team is trying and I appreciate the effort, but the current formats of introducing changes and asking for feedback just do not seem to work out well. This is probably among the reasons why Joachim's idea received just a few votes - many people gave up, stopped posting new ideas and stopped visiting the Idea Place. I only ask that everyone continue to remain patient with me. As you can see from the above, I didn't quite follow all of the discussion points, but I did my best to understand, and through some back and forth, I believe I finally got it. I don't think it's an issue with my reading comprehension so much as with how my mind is wired. You all possess skill sets and knowledge that I simply don't have. But I think as long as we can have these types of conversations, my colleagues and I can continue to do our best to represent your concerns and recommendations on our side. Please know that I don't take anyone's involvement here for granted. I really do appreciate that all of you take time out of your schedules to participate, propose ideas, and offer critical feedback. You are under no obligation to do so, and as long as you are willing to share opinions, I'll be here to discuss them and report them back. Veselina, the key difference in your example is the direct communication between the users and developers. I can't know for sure what happens behind the scenes of SCN but, from my experience in the corporate IT, I suspect that a lot of problems are caused by the "broken phone" between the idea and implementation. Someone who has no understanding of how SCN worked before or how any online community works writes up the specification. It is then given to the developers who have, in turn, their own interpretation. And possibly it passes through few more layers of different managers, "status checkers", onshore/offshore teams, etc. Along the way the original idea gets distorted to various degrees. 1.People are confused between comments and answers. 2.Many comments hide the answers at first sight when users access the page. This is why we went ahead with the feature of hiding and un-hiding comments. It was also decided to collapse comments to answers so you will only see comments to answers that interest you by clicking on expand. Otherwise it can get very messy. Feedback process by users- We try to be inclusive as we can and maintain different user groups to capture user feedback. Many of the changes you highlighted did get reviewed and approved by several members and moderators. Of course we can improve how we go about collecting feedback and I will forward your valuable feedback to the relevant people. However, sometimes during development process we need to make quick decisions and that's why we work with UX experts to help us make those decisions. I will ask them to attend some of the UX related issues/concerns you raised. Trolling or caring- Never feel that because you share negative feedback you're doing something wrong. We know and acknowledge we are in a challenging period and we need your feedback and endless caring to overcome and improve. The hiding option is a great example for a feedback to feature cycle (and we are doing our best to expedite things). Unified experience across community 1DX platform and within the same interface- I agree. We are focusing efforts on harmonizing the experience. But as we have many things on our plate we might get to some action items sooner than others. However I agree that we shouldn't have different experiences within the same page especially when we roll out new designs. I will follow-up with our UX designer. I can already share that we are thinking of disabling the automatic display of answer submission UI when you access a question. Some members identified/suggested that it might be contributing to the misuse of the answers vs. comments concept. Please share if I missed any open items/questions. I'm trying to ask a question, but have no possibility to assign a primary tag. Eli, it works fine for me (both using the list and just typing). Could it be some kind of connection issue? Moshe will be out the next couple days. If the suggestions from Steffi and Jelena don't work, could you please let me know so I can investigate further? FWIW, are there plans to change the current behaviour to hide comments by default (Jelena's 3rd point)? Do you share these experiences? the OP gets a notification that there is a comment, and if he is able to click the the word "comment" then he is taken directly to the comment. "Unfortunately" there are 2 links in the notification, the word comment, and the huge link for the question, and if the clicks the link the question then the comment is hidden. Still he should be able to remember that he wanted to read a comment and should look around to find it. In the supermarket he is doing it too when he walked into the wrong aisle. However, I am more concerned about third people stepping in and try to answer the question. Those people often miss the conversation and clarification that was already reached in the hidden comments. And I am still the opinion that many questions get answered by a joined effort and replies from several people. The accepted answer rate is far below what it was before the change (additionally demotivating many contributors which were more regular here) , and this has certainly to do with the comment/answer structure. Comments that finally provided the solution cannot be accepted as correct answer. It breaks the structure of a discussion if I add a comment for clarification, then OP replies to my comment and then I have to use "answer" to reply to him with an answer which has actually a direct reference to his comment. A future reader who only reads the original question and then the visible content has no idea how you got from A to C.
I my opinion we should get away from this hairsplitting terms and just use "Reply" as a single option to respond to a question. So I conclude there are chances the question's poster would not notice that rather hidden notification, either. I agree with Juergen that on SCN the comment/answer split simply does not work well. Comments/answers were not previously available on SCN and I don't believe anyone care about the difference now or see any advantage of using one over another. Answers/comments make sense on the websites with higher volume of replies. Average Q&A on SCN is probably about 5 replies altogether. Since the migration I have a feeling that in about 80% of the Qs I answer the OP just dumps some random thoughts on SCN and then never comes back. But, of course, they might as well be using answers to reply and then I just have no clue about it (edit: case in point). What really decreases the motivation for me is total lack of response. I can live with OP not going through the motions to close the answer but when you write up a decent answer and then just get crickets in return that's just sad. And again to the point of not seeing unanswered questions in the profile - previously I was at least able to see "serial non-closers" by opening their profile and then avoid wasting time. But now not only the whole history has been wiped out but I can't even get that information for the OP's newer questions. Didn't we have this same discussion about a single response type a few months ago? It was decided to keep the two fold path. Perhaps we need to revisit this topic for a different decision? I do spend a fair amount of time converting from Answer to Comments. I think that the average user still does not have a clue about when to use each type of post. Well, many people wanted StackOverflow (SO) on SCN and it uses answers / comments (so does MSDN, I think). Of course, SO also has many other helpful features that we did not get but that's another story. Realistically, I seriously doubt we can get rid of answers/comments at this point. And they can have some positive sides, if only used correctly. Out of curiosity, I checked other AnswerHub communities and found much less struggle with the answer/comment duality there than we have on SCN. Are the SCN members such dum-dums that they can't grasp a simple concept? Well, some of them probably are but, for most part, we are simply used to "replies". We had them for a decade! And now you're telling us we need to use "comments"? Blasphemy!!! So, unless we can go back to "replies", the only way is to re-train the SCN users with a very strong hand. This means that there should be (a) very clear and simple explanation on how we are expected to behave; (b) corrective actions when the expectations are not met; (c) positive / negative consequences (positive works better). This is just Discipline 101, works equally well with toddlers or pets. Establish the boundaries, correct and praise/punish. And, as we know, it is only effective if both mommy and daddy follow through. So all the moderators would need to get on board with correcting behavior until new pattern sets in. Sometimes I wonder: am I doing the right thing by using comments (when it is possible)? Yes, this is probably good for the OP, if the comment link from Activity stream leads to the actual comment, but what about others, who will find the question later and try to figure out what was the exact solution and in what context it was accepted? Provide alternative flat chronological view with all content expanded, fix the problems with hidden links and missing reply option - then I will do my best to comply. Otherwise, no matter what rules are in place - these can't work. Yes, there are some technical issues and missing functionality that need to be addressed as well. E.g. we still get no notifications if someone else posted an answer, in addition to what you've mentioned. But if we just keep waiting it'll be too late. Answers / comments can only be effective if everyone uses them with reasonable consistency. Right now in many cases I end up using comments as an answer just because OP posted his/her comment as an answer and I have to reply in context. It's just a mess right now. I am not sure if I like the new design - probably a matter of getting used to it. 1. How do I mention someone in a reply? Is that feature turned off? "@username" doesn't seem to work. 2. Selecting tags is not an easy process. Are tags available for "coffee corner" like questions? 3. How do I remove/undo 'code' formatting/highlighting. Once I press the button to display a section of comment as code, I am unable to remove the code formatting. Too bad if it is pressed right at the top or without leaving whitespace at the bottom (can't write anything without code-block underneath code block). Still waiting for the feature to be implemented. The team promised to deliver this at some point, but I am not aware of any specific dates. The Coffee Corner discussion (or article) is a special type of content. There is a tag, actually, for Coffee Corner, but it is applied behind the scenes. Use the arrow down button - it works for me (moves the cursor to a new line out of the code block). Wow, wasn't aware of that either - thanks for the pointer! No idea... other than ctrl+x, type whatever you need, then ctrl+v. I have not found an easy way to switch off the code section... which is kind of ridiculous for an editor in 2017. At least if there is some kind of html mode, or bbcode or markdown option, I am not able to trigger it. Maybe there are plugins, which can do that or settings missing on our side. I find it hard to believe that DZone could sell something that bad more than once... I wonder whether this is working in http://sqlanywhere-forum.sap.com/. >It would have been nice if there were a quote option. >>phpBB looks superior to what is currently available in this modern solution. The preview has a few issues, i.e. it does not always show the exact outcome, and as usually, adding something in angle brackets is tricky (i.e. must be "masked" accordingly - and as can be seen here, the preview made me mask the brackets but the real view would not have needed them...:( ), but otherwise, IMHO waaayyys better than the editor here. One does not have to mis-use "code" for quotes, either. It is strange, that this editor is not available in the paid version... or if it is, that it is not activated. I can see that a <pre> combination </pre> gets applied for the code blocks in our forum, but no idea how to set it manually. So far I use notepad, I paste the whole text, then I select the lines, which I want to have set as code and press the button **code**. Another workaround (far from user-friendly), is to open developer tools in your browser and manually add the html code (for paragraph). It appears to work, but... seriously? The plan is to have @mentions back by SAP TechEd. 1. As Veselina mentioned, we don't have "@" anymore and no information if it's ever coming back. When you want to reply to a particular post, just use the comment for that specific post. In this way it's at least clear what you're replying to and the person gets a notification as well. This does get tricky after certain level though and obviously not as good as @. 2. The old SCN spaces vs. new tags spreadsheet has been somewhat helpful. Also now we have a reduced list of "recently used" tags. So at least once you find a good tag it's easier to use it again. Coffee Corner is actually easy to find through the top menu and then just use Actions button when you're here. 3. I'd expect it to work just like other buttons (click once to apply and click again to remove) but apparently not. A bug, perhaps? Keep in mind though that your answer can still be lost sometimes due to some mystery error messages, so typing in an external editor first and they pasting on SCN seems like a good idea in general. I searched and found this discussion because I was convinced I can't be the only one who thinks the answer/comments setup is a dog's breakfast. I agree with many of the points made by the various contributors. Sadly though the discussion is already over two months old and very little has changed on what I see as critical flaws. 1. The "Comment on this answer" and "2 Comments" links are grey. The major flaw is that people have to make a conscious effort to look for answers with comments. And one has to to click and open each comment anyway to find the new info, because someone may have commented on the 3rd answer out of 5. So we have: answers, comments to questions, comments to answers, replies to comments. I come from an era where a thread was a series of posts by various contributors and you could "Reply" to any of them. Any "Reply" could be accepted as an answer. This was a simple world. Everyone understood it. And even if people fully understand the new SCN setup, it doesn't always make sense. Sometimes someone's comment can be an unintended answer. But it can't be accepted as such, because the incorrect response format was chosen. Upvoting vs Liking is also just messy. Why? Just stick with one term and one format. Sorry to be blunt, but this setup is simply dreadful. Can't we just go back to replies just like 99% of the online world uses? Mike, you are not alone in thinking this. Keep it simple / don't fix what ain't broken, etc. This goes back to the big question of why AnswerHub was chosen as a new platform. 1. SCN users are not "developers". Not saying developers are smarter than everyone else but they do usually have a slightly different mindset and are used to different tools than the rest of SCN population. I could go on and on but that's the gist of it. Obviously, going back to Jive is simply not feasible and making people change their ways or making major changes in AnswerHub design is also rather difficult so late in the game. You hit the nail on the head, both times! I see the stack overflow concept (which I personally understand). But as you point out we're not all linux hackers on SCN. Some people on here struggle to string together an English sentence, let alone a piece of ABAP code - and I don't mean this in any derogatory way whatsoever. It must be simple. The continued low traffic since the new SCN was launched is testament to that. (how long ago now, must be coming up to a year?). People use forums and Facebook and whatnot for all sorts of private and professional interests, and the vast majority of them are phpBB / vBulletin conversational style. Improvements have been slow in coming and often fixed the reported problems in, shall we say, unexpected ways? Here's hoping that members will be more closely integrated in both the solution prioritization and the development process. It seems longer because of the unpleasant experience. I've had many stabs at getting used to it, and I still find it an awful user experience and confusing platform. A big plus point is that we do see - and appreciate - the guys and gals working hard at getting improvements out. WordPress is the blogging platform, Q&A platform is AnswerHub. Not sure it's necessarily better or worse than phpBB, it is just different. But, to be honest, I believe phpBB style would've worked much better on SCN, from the user perspective.